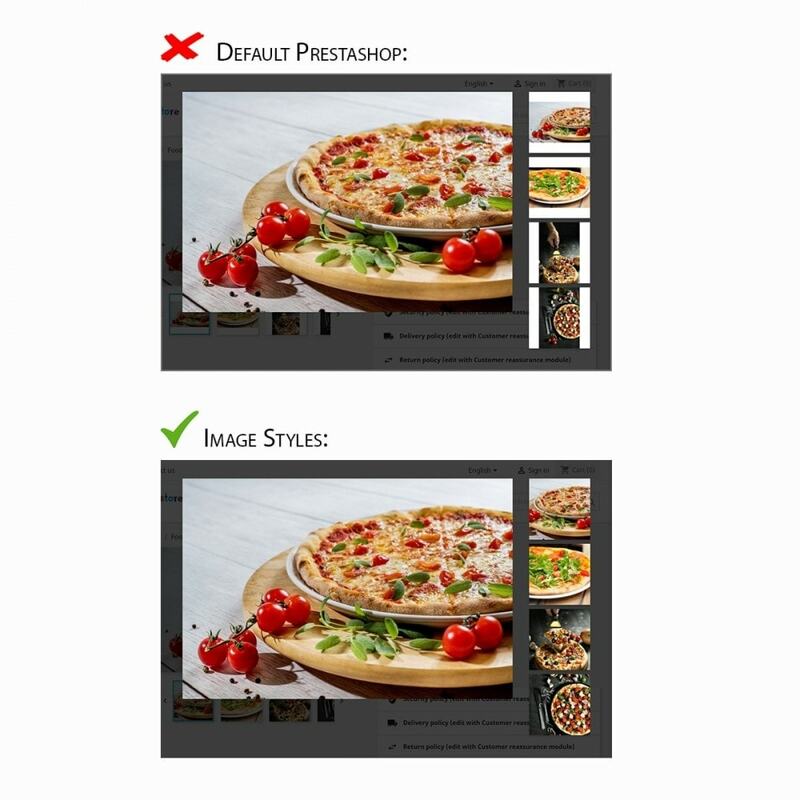 Improve the looks of your storefront within minutes! 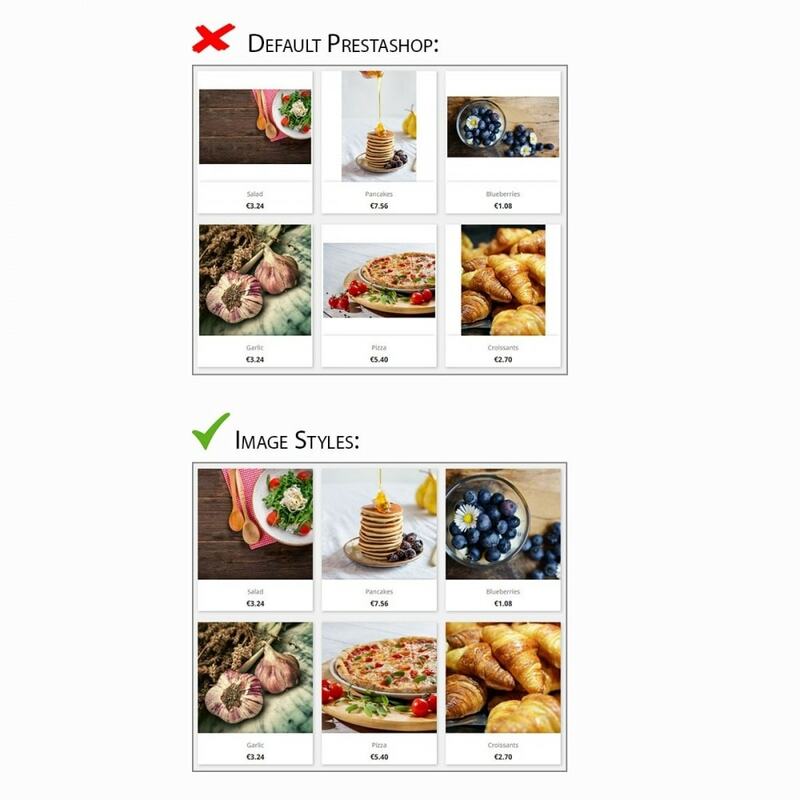 Prestashop lacks flexibility in handling images, leading to a messy website. This modules changes that by providing various useful image formats to be defined for each image setting individually. Drastically improve the looks of your storefront within minutes! 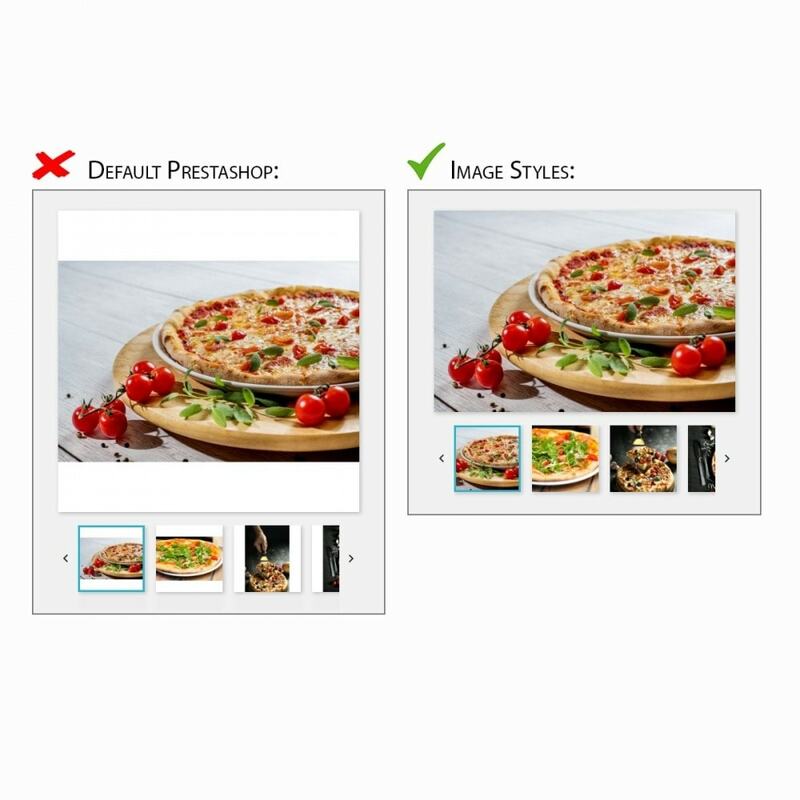 This module provides you with options for the display of images which results in a more professional look of your store, a more pleasing user experience and therefore more conversions! 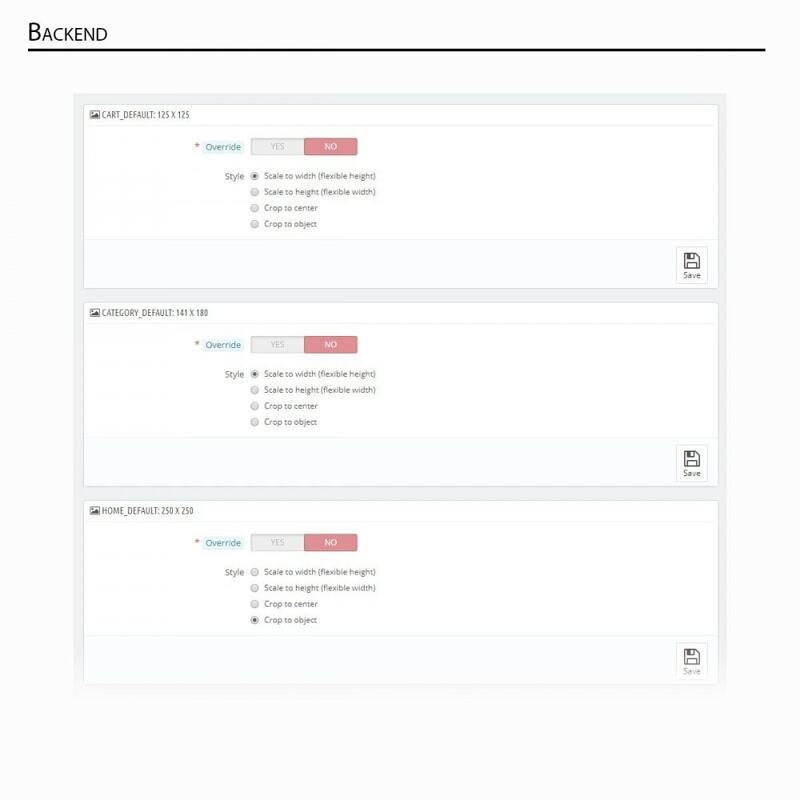 Scale to height: Scales to the indicated height while automatically adjusting the width. 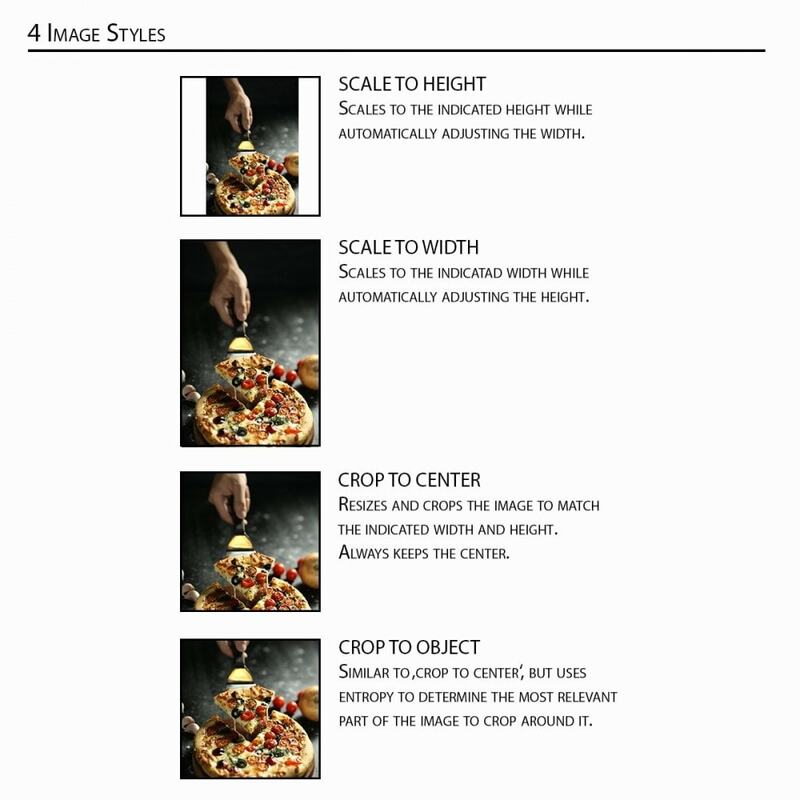 Scale to width: Scales to the indicated width while automatically adjusting the height. 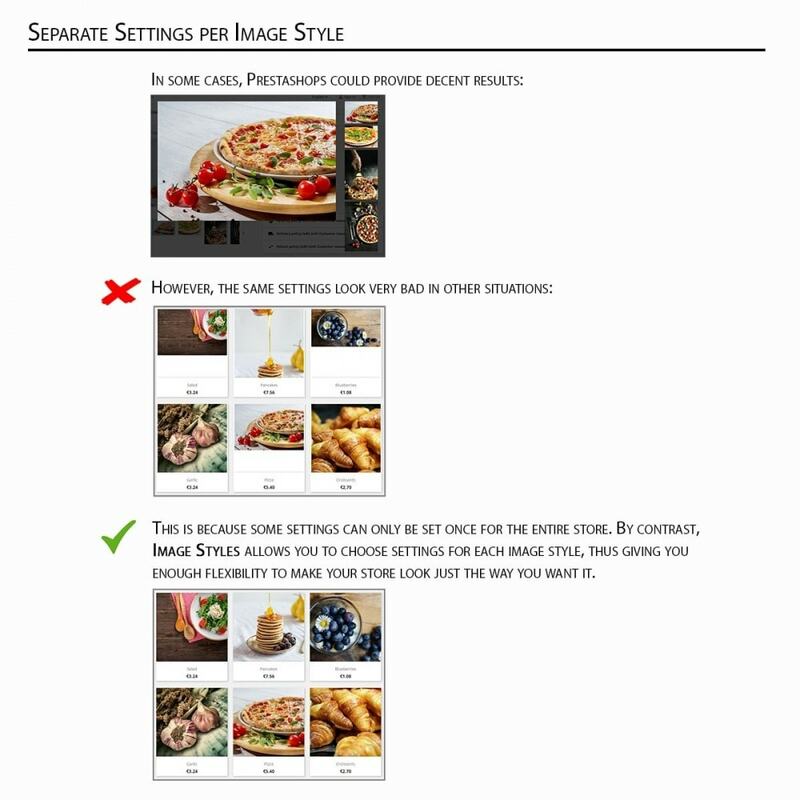 Crop to center: Resizes and crops the image to match the indicated width and height. Always keeps the center. Crop to object: Like 'crop to center' but uses entropy to determine the most relevant part of the image and crops around it. Consider taking a look at the images for this to become more clear!